It has recently come to light that there is a vulnerability with Intel processors which could potentially give access to sensitive information on your machine via the use of malicious software. This information includes personal details and passwords. 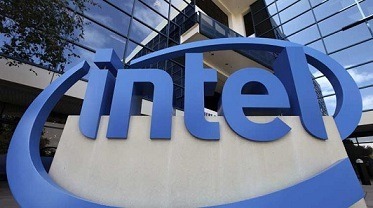 Intel processors are in around 80% of machines which can include laptop and desktop PC’s, Mac’s and some mobile devices. Make sure all your Windows / Mac OS updates are installed. There is a patch to be released this Tuesday for Microsoft Windows which should stop the vulnerability and it should be downloaded straight away. If any help is needed with this then please feel free to contact us. Make sure you have Antivirus software which is in subscription and up to date. This is also something we can help with if you’re unsure. Be vigilant when opening email attachments or website links. Always make sure it’s something you trust and if you’re unsure then don’t click it and delete any suspicious emails straight away. As mentioned in the points above, Microsoft are releasing a patch on Tuesday to fix the issue. Some reports are suggesting that the patch could have a negative impact on the performance of Intel processors, causing anything from a 5% to 30% reduction in performance. Older machines are said to be the worst affected. If you have questions or concerns about the Impact on your IT from this this or any other IT Matter, feel free to contact us.